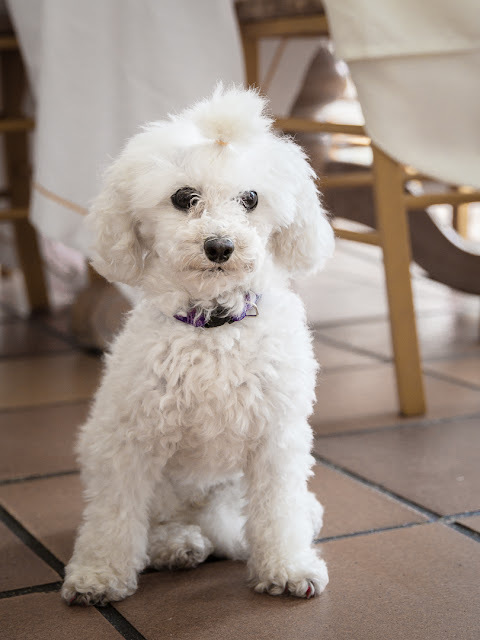 Tofu, an adorable toy poodle was with her owners at the Beausejour restaurant in Gorbio yesterday. I thought she was a puppy - but, no, she is three years old and lives in Nice. So cute. Now .... that is a cute name! !